Koryznówka is a common name for a wooden house erected in mid-19th century by Joanna and Leonard Serafiński between the castle and the monastery in Wiśnicz. 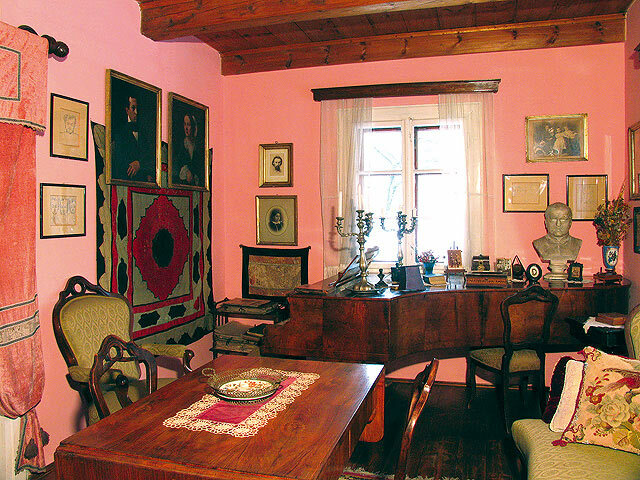 Currently, there is the Jan Matejko Memorabilia Museum. Jan Matejko often visited the Serafiński family, his in-laws, in the 60s and 70s of the 19th century. In Wiśnicz, the artist made numerous drawings showing the wooden architecture of Wiśnicz before the fire in 1863, the castle as well as caricatures of his family. Older than Matejko by 19 years, Leonard Serafiński was a friend and spiritual leader of the painter, much evidence of which is preserved in Koryznówka. The Serafiński family has been taking care of the memorabilia connected with the author of the Battle of Grunwald for several generations now. This was started by Leonard’s daughter, Stanisława Serafińska (1856-1924), who was very fond of her uncle. She reflected these feelings in her diaries written in Koryznówka and published in 1955 by Wydawnictwo Literackie Publishing House in Cracow, entitled: “Family memories” (pl. “Wspomnienia rodzinne”). In the interwar period, those family memorabilia were made available or rented out for exhibitions or for publication. 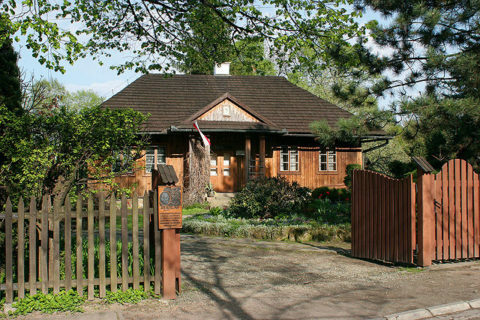 During World War II and German occupation, Ludmiła and Tomasz Serafiński lived here, in Koryznówka, and they were engaged in conspiratorial activities and provided shelter to people who were hiding (Witold Pilecki). 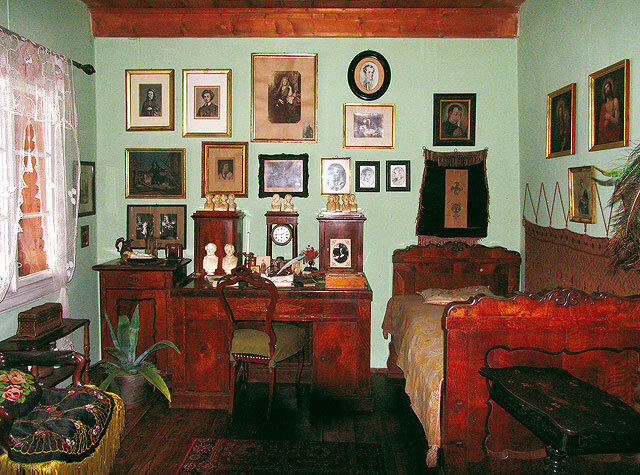 After the war, Tomasz Serafiński began a campaign of social and seasonal presentations of Matejko’s memorabilia and interiors of Koryznówka. After his death (1966), in 1976, in order to continue these actions, the family began a renovation of this building with the help of a crew headed by Prof. Alfred Majewski, conducting works at the castle in Wiśnicz. In 1981, owing to the efforts of the family, the Jan Matejko Memorabilia Museum was opened in Koryznówka, operating on the basis of an agreement between the owners and the District Museum in Tarnów as its branch. Koryznówka is located in the direct proximity of the castle and is very popular among the tourists who appreciate the atmosphere which is full of patriotism and tradition of a Polish house. The Museum organises an annual competition as regards knowledge about Jan Matejko’s life and works, in which the students from the schools in Nowy Wiśnicz participate, as well as popular scientific sessions about Jan Matejko and his works.